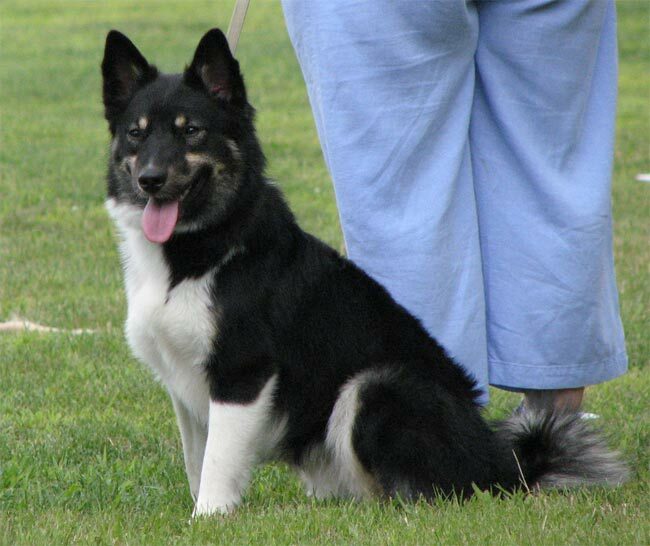 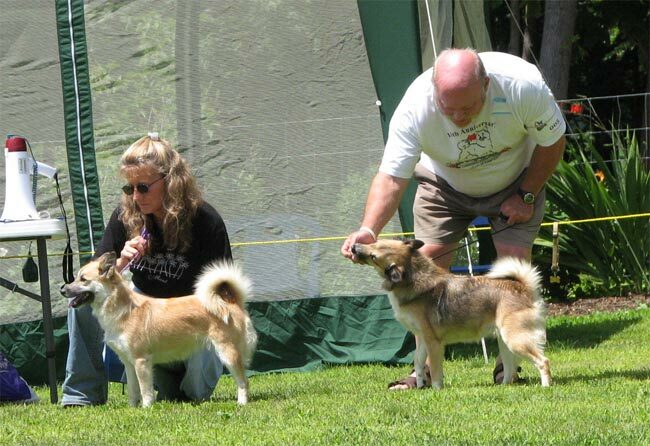 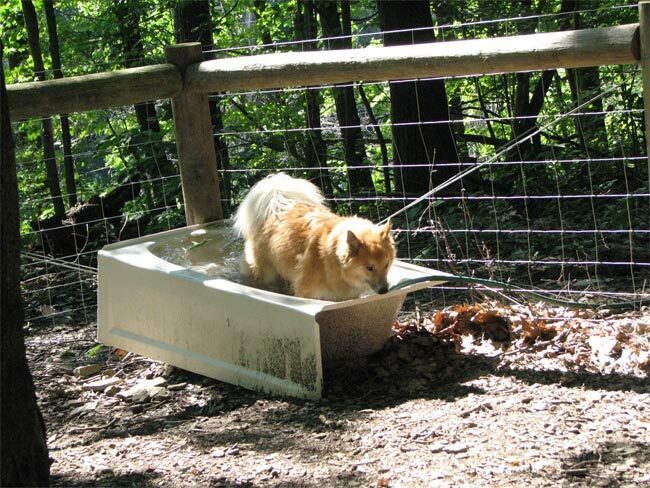 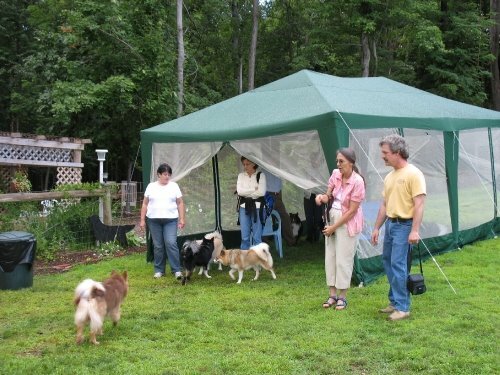 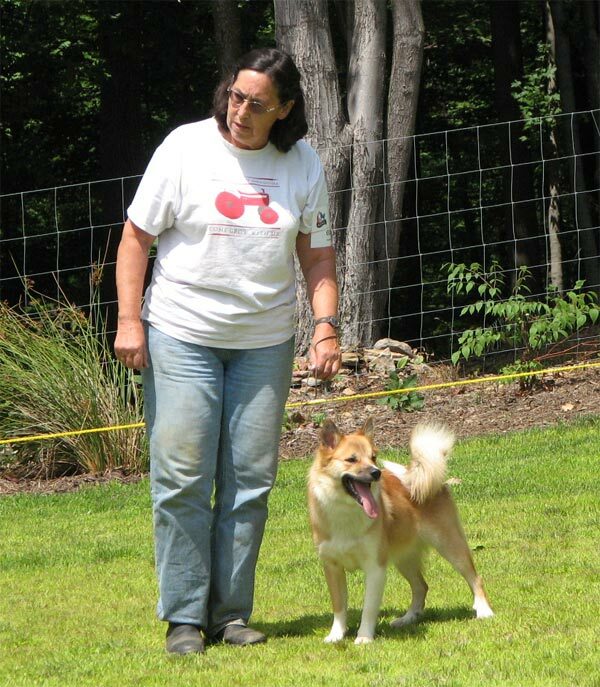 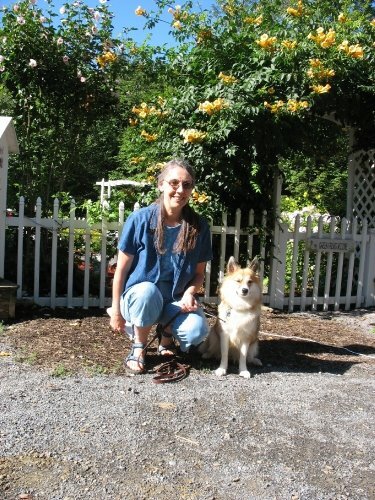 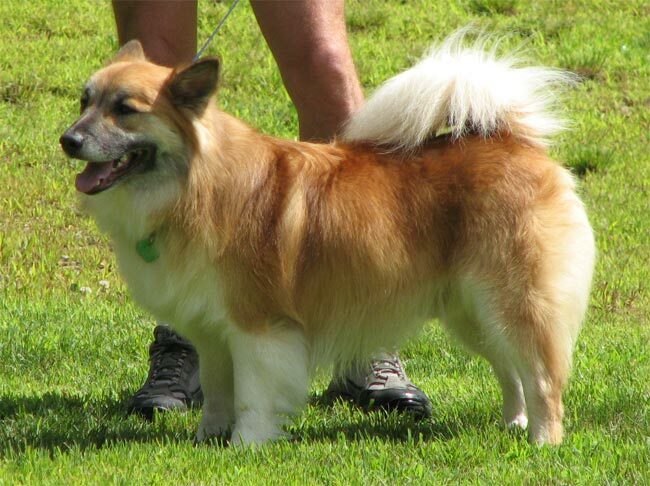 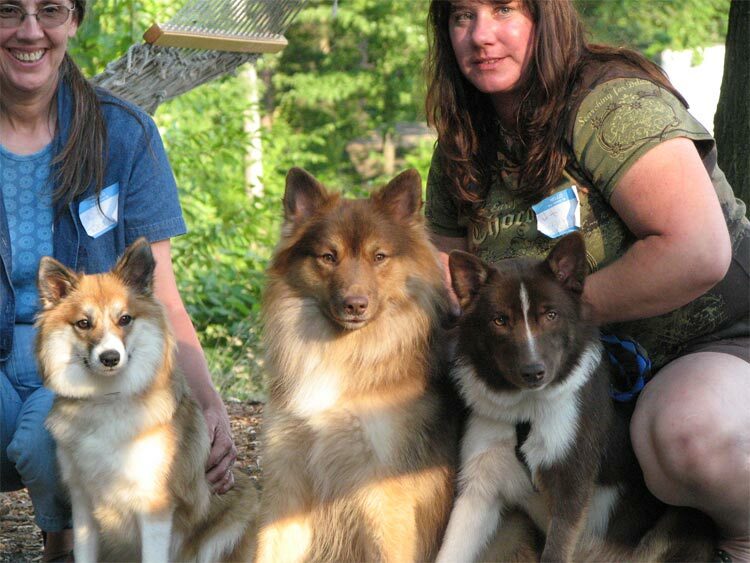 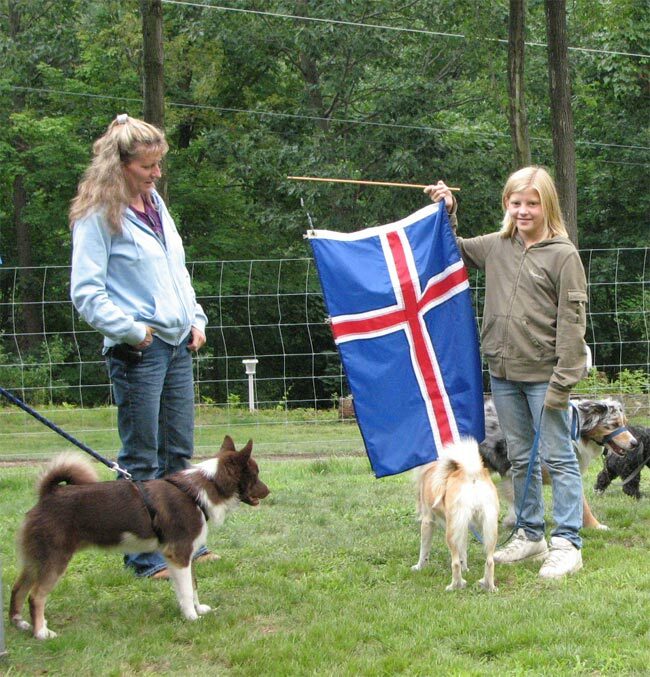 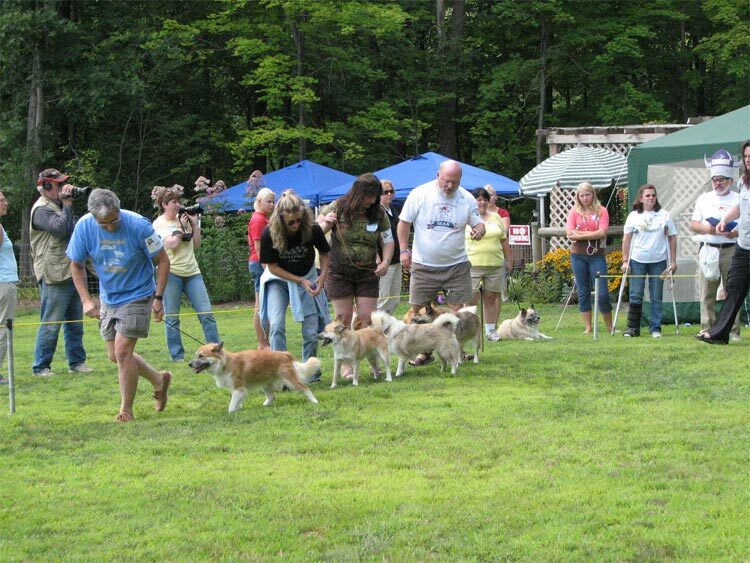 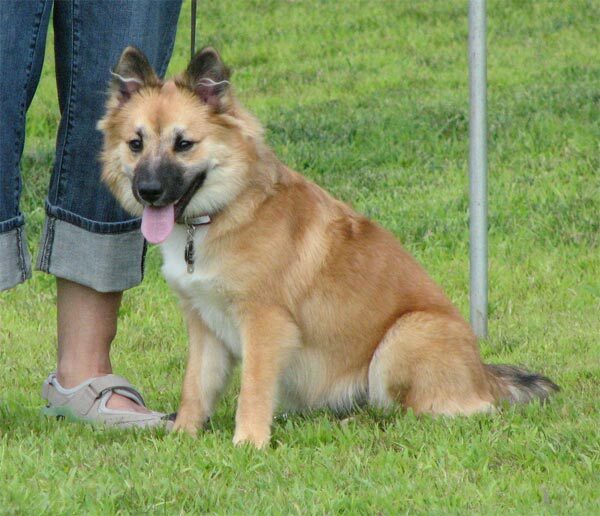 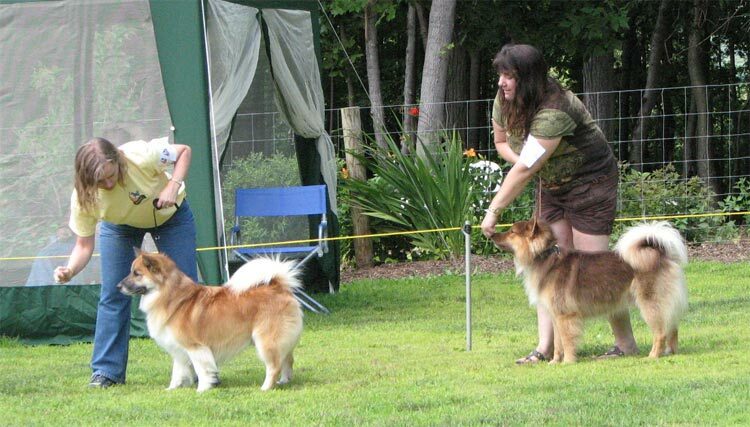 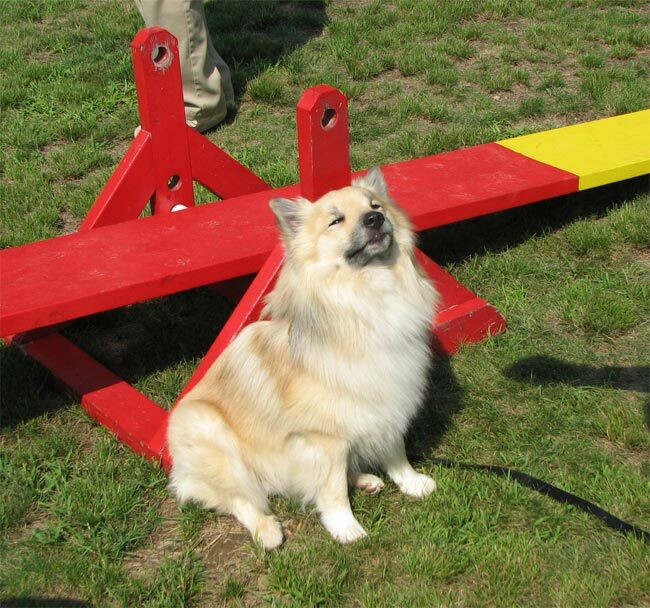 August 8 – 10 was the Atlantshaf Icelandic Sheepdog Chapter (AISC) gathering at Fogle’s Dog Training Center in Ashville, PA, near Altoona, a must-visit place for dog owners visiting Altoona. 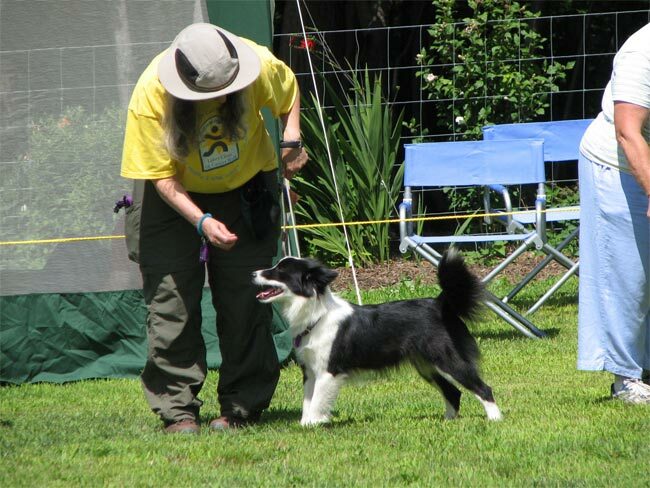 The weekend included mini-classes in Agility, Obedience training and Conformation handling, a breed Fun Match, CGC/TDI testing, a fun agility competition, and lots of socializing, playing with dogs, and relaxing. 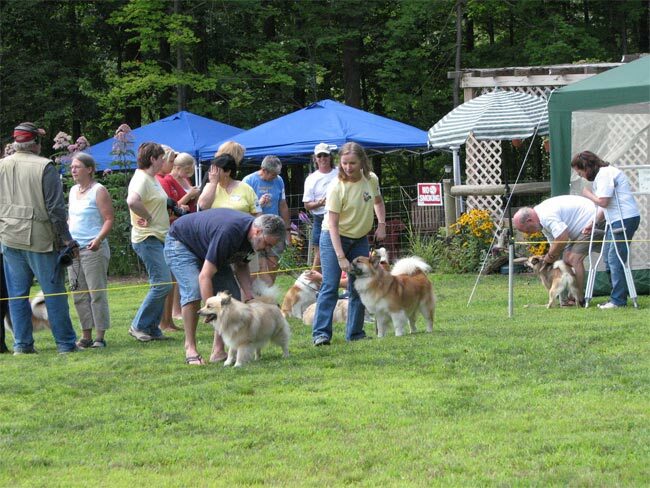 Fogle’s place is in the woods on a hillside, and has many dog-friendly areas, including indoor and outdoor ring areas, fenced training areas, and fenced wooded areas. 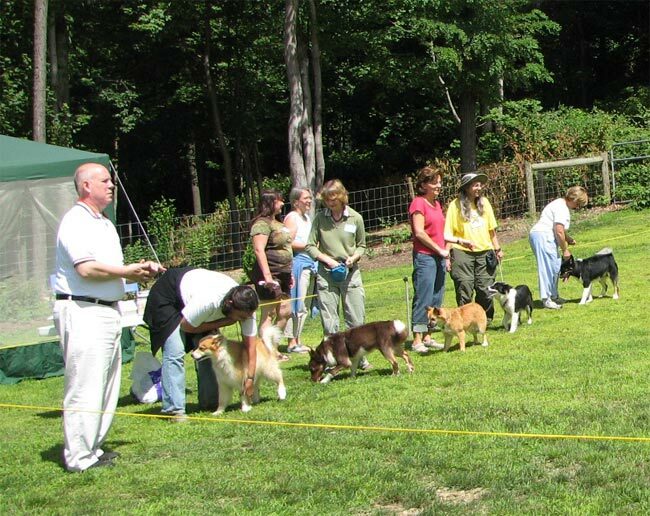 There is a dog park that is open to the public, with lots of comfortable seating areas and woods to walk in. 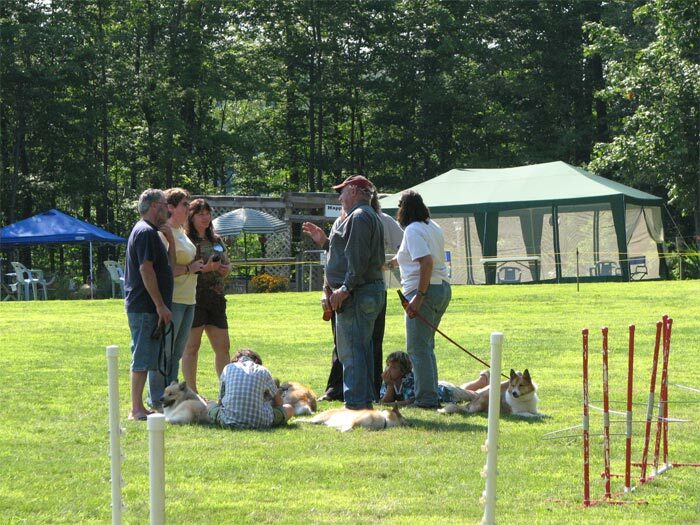 Here are a few pictures from the weekend. 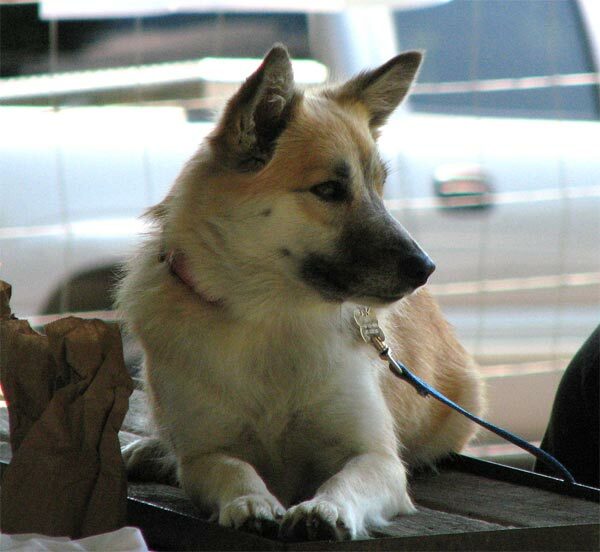 Click on them for a larger view. 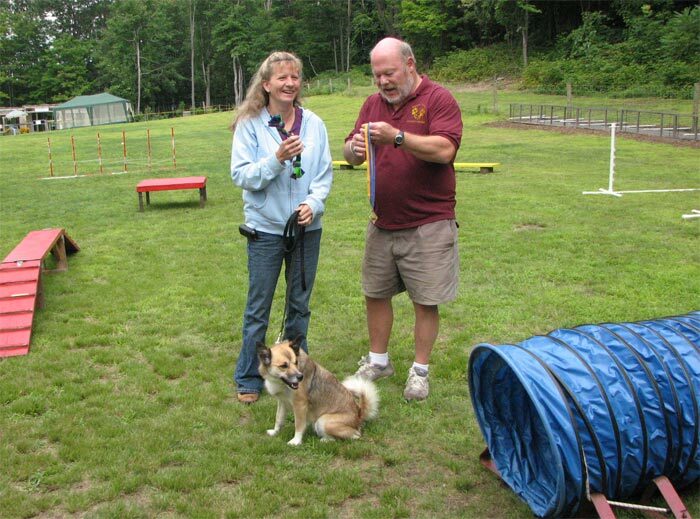 Truffie passed her CGC and TDI tests. 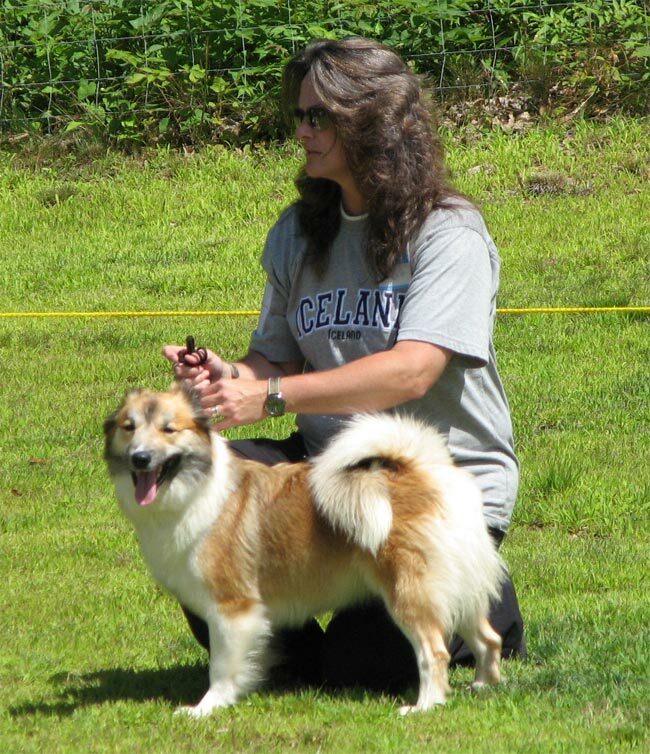 At almost 11 months, she is 16.5 inches and 22 lbs. 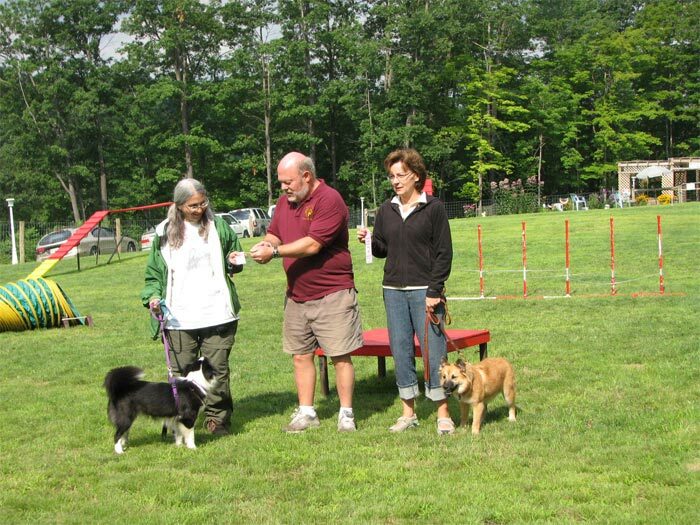 Russ Hansen presenting Irene Green with her agility prize. 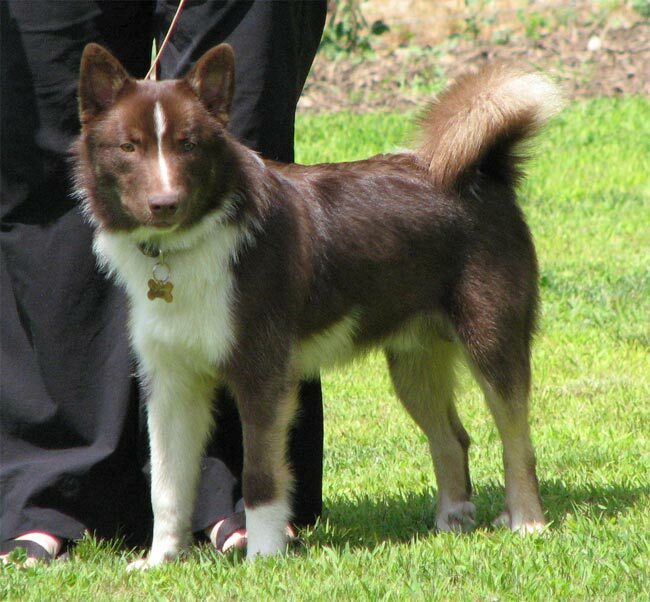 She ran Russ’s dog Kiska. 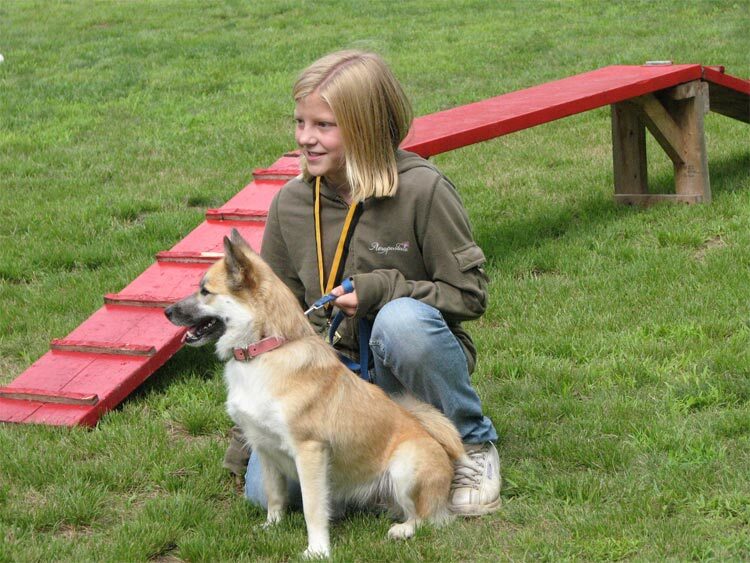 Brooke Green with Ziggy (Sand Creek Bjalla) posing with their agility prize. 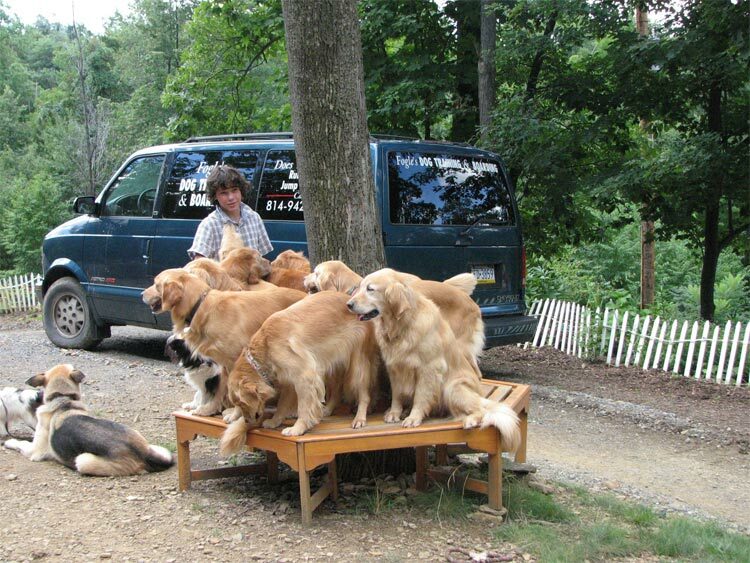 And as they say, a good time was had by all. 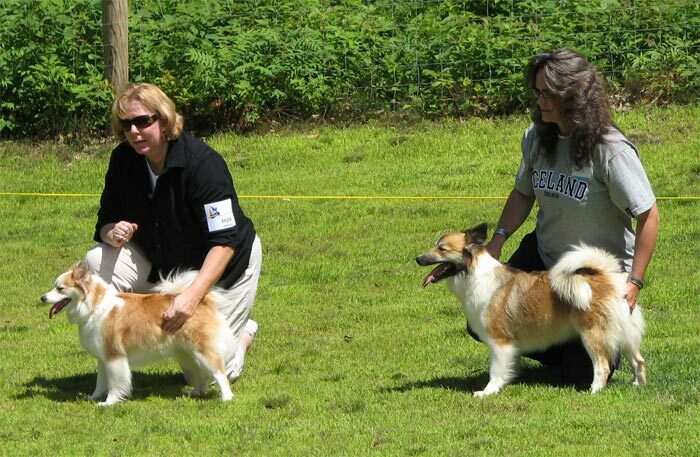 More photos of the weekend on Jenifer Brimmer’s site.